TGIF! It's finally the end of the week, what are your plans? This weekend temperatures are going to drop even further in Jersey. It's mid-February and it's very much winter, unfortunately. 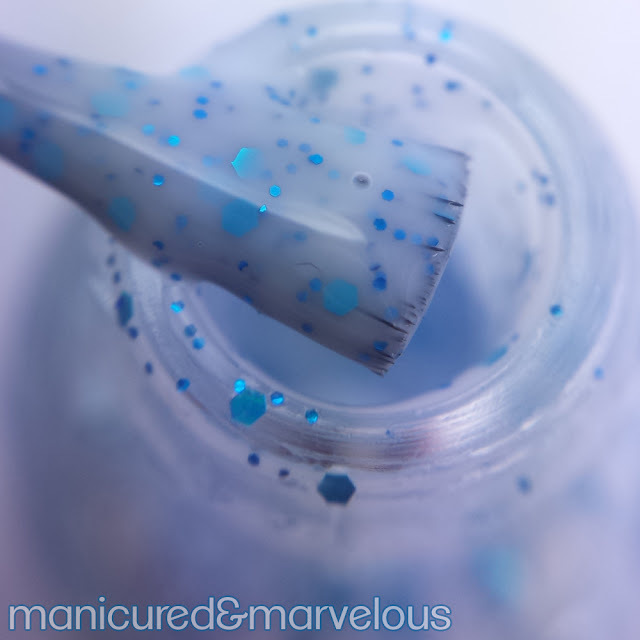 For today, I have some beautiful polishes that hit close to home in this winter weather. The swatches I'll be showing are part of the Winter Collection by MTL Creations. Let's take a look. The Winter Collection by MTL Creations is available for purchase individually for full and mini sizes. Each full size retails for $7.38 and each mini is only $2.95. Deck the Halls is a white crelly filled with red glitters of different sizes. Surprisingly I didn't get to pick up a similar polish during the holidays, so I'm excited to be able to try it now. While it's meant for more of the holiday season, it's still a good combo for other occasions. The red isn't too vibrant so it ends up reminding me of speckled eggs for the Spring. Good formula and consistency, but it does require a few thin layers to order to even out. For these swatches, I used three thin coats and sealed it with a top coat. Sugar Plum Gumdrop is a clear glitter topper filled with different shaped purple and holo glitters. This is not intended to be a full-coverage glitter, but I wanted to show you how it looks both ways. I used three thin coats over a clear base coat and then two thin coats over a white base. I definitely suggest using it over a base as opposed to building up alone. The formula is pretty good and does not clump up as you add each layer. 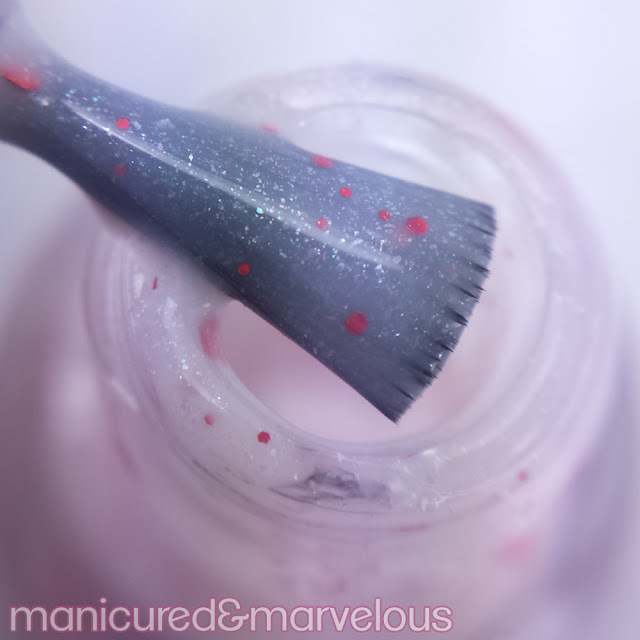 Shown here with a glossy top coat to smooth down the glitters. Frost Bite is a white crelly filled with blue glitters in different sizes. This beauty does the talking for itself and I'm completely in love. Definitely my recommendation for must-have. Great formula and consistency, like the previous one it requires a bit of layering for an opaque finish. 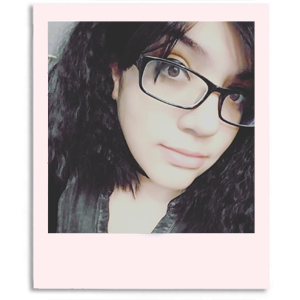 The layers apply very smoothly and without any issues. Shown here is three thin coats and sealed with a glossy top coat. Overall I really love both the crellys, especially because I'm a long time fan of white based crelly polishes. Frost Bite is my favorite and I recommend it hands down. Not all of us are going through the cold weather right now, but the polishes are actually versatile all year round. As I mentioned before, the Winter Collection by MTL Creations is available for purchase individually in both full and mini size. There is also a listing for the full collection, which is a total of five polishes. MTL Creations is currently having a sale for 25% off with a min purchase of 10$ (polish only) using the code "VDAY25". Oooh, I love Frost Bite! The glitter is so pretty against the white base. 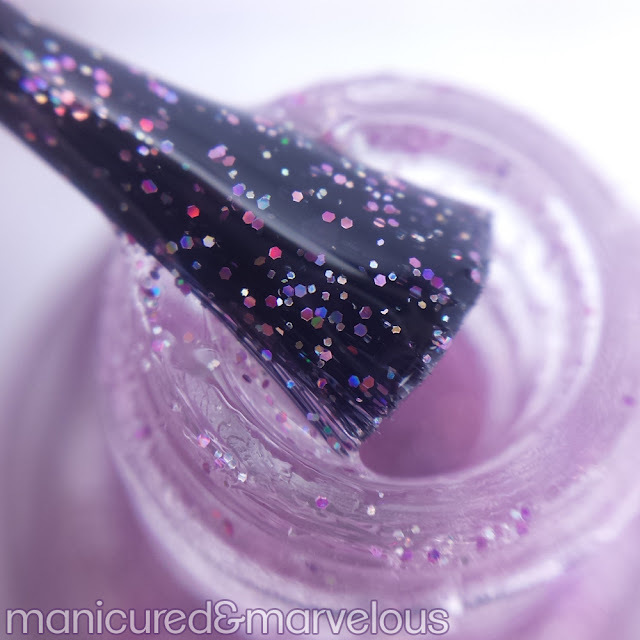 I love the shades of glitter in Sugar Plum Gumdrop. I haven't heard of MTL Creations, but I love love love that blue and white crelly! 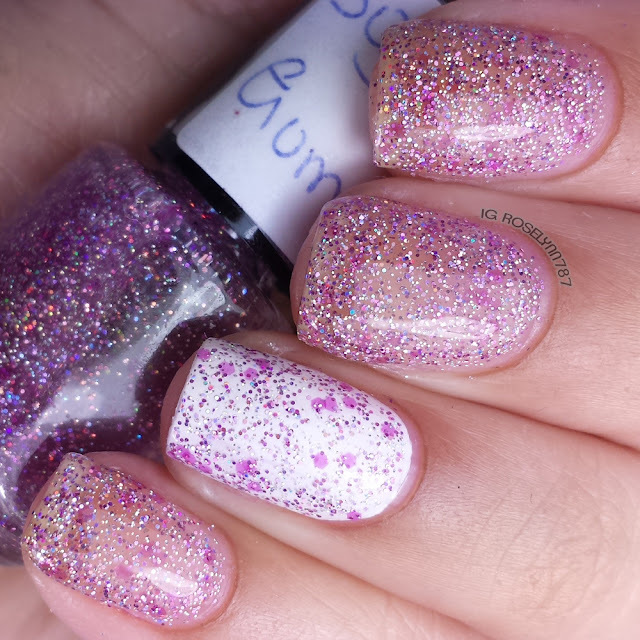 Definitely sweet polishes and they can easily transition into Spring! Frost Bite is beautiful!!! Wonderful review!! Ohh, Sugar Plum Gumdrop and Frost Bite are so pretty!! Frost Bite is my favorite, with Sugar Plum Gumdrop a close second. Very pretty! Frost Bite is my favourite but they're all lovely! Lovely swatches! These are so pretty! Gorgeous swatches! I love frostbite. Frost Bite and Sugar Plum Gumdrops are exquisite! Deck the halls is so awesome...I need that for next Christmas! Frostbite is beautiful! Gotta love glitter in a white crelly base! I really like Deck the Halls, it looks like it can be used year round. Frost Bite is stunning! Your swatches are so flawless! !